Patended and made in the USA, adjustable hand levers with push button are the result of modern industrial design: Glass fiber reinforced thermoplastic with molded in metal insert. 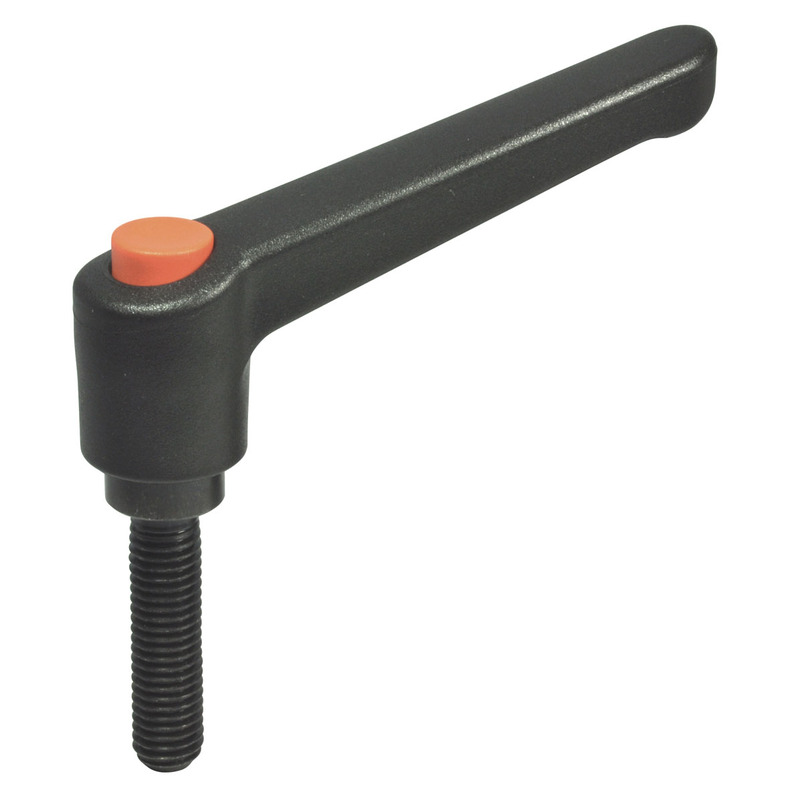 All such levers have proven to be ideal wherever parts have to be clamped in a confined space or in a paticular lever position. 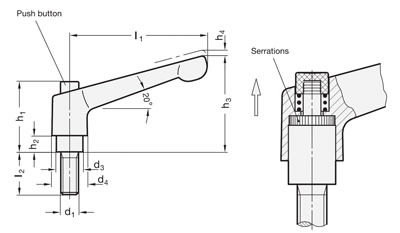 The insert in connected to the lever via serrations which can easily be disengaged. Maximum heat resistance of nylon plastic: 150°C (230°F). Special threads and stud lengths are available upon request. For certain minimum quantities, special colors also available upon request. Also available with an orange lever and a black button.